Lasagna is always right. Though sometimes it feels not quite useful, especially after a weekend. Therefore, I made this vegetarian lasagna with whole wheat pasta and zucchini. At the same time had a meatless Monday. Cut the zucchini into slices. Peel and chop the garlic. Fry the zucchini and garlic in butter and canola oil in a skillet. Stir in crushed tomatoes, rosemary and crumbled stock cube. Let it cook together for a minute. 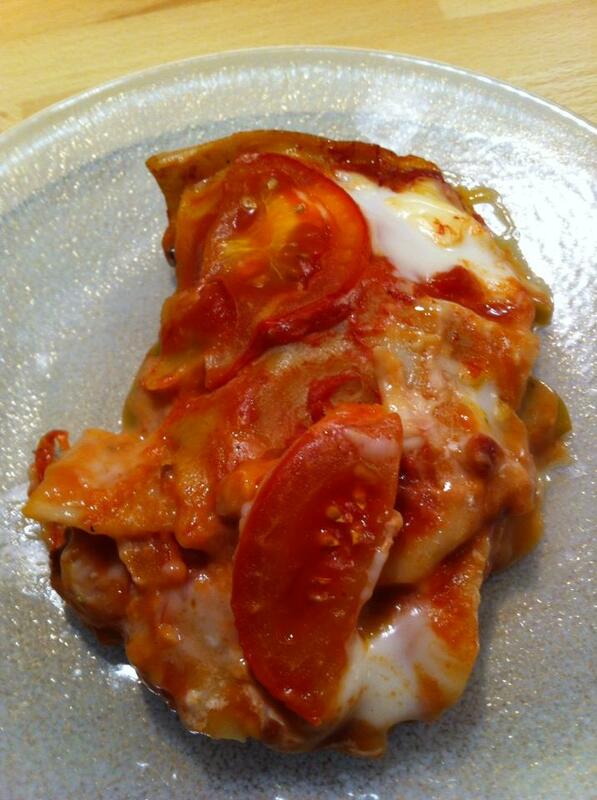 Layer the vegetable sauce, cheese sauce and lasagne sheets in a greased ovenproof dish. Sprinkle with olives and cheese. Bake in center of oven 225 C about 50 min.